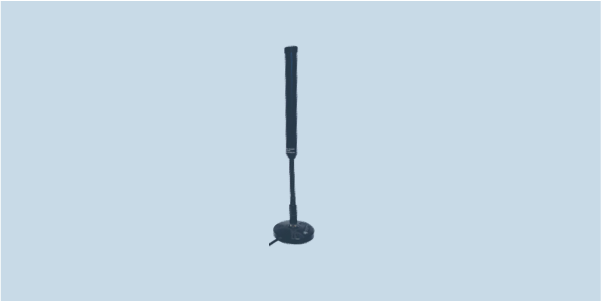 AD-21/45300 is a compact dipole manpack antenna covering 450-3000 MHz, with 50W power handling, making it useful for counter-RCIED and communications missions. AD-21/45300 is dipole mobile wideband antenna intended for use with portable communication systems, broadband receivers and RF jamming. This omnidirectional dipole antenna covers 450 to 3000 MHz antenna and is a sleeve dipole center-fed design, thus it is able to work without the presence of a ground plane, and can handle 50W of continuous power. Options for fixed mount and magnetic mount are available as shown in the datasheet.